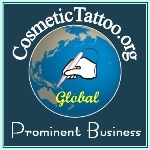 Have you ever considered having your own brand of Cosmetic Tattoo machines? Just imagine being able to provide your customers and students with a high quality digital cosmetic tattoo machine branded with your own company label and with your choice of machine styling. What better way to make your mark as an industry leader? I am pleased to announce that this is now an option that I can provide to you via our exclusive Amiea distributorship. • Your machines will be made in Germany by the worlds leading manufacturer of digital permanent makeup machines. • You can supply your own choice of branding/company logos. • The machines are manufactured and supplied to you. Is it time to launch your own brand?